For those considering a suppressor to enhance your sports or indoor shooting experience, now may be an ideal time to consider a purchase. Suppressors (or silencers) attach to the barrel of a gun or firearm and can be used to reduce the amount of noise, recoil, and visible muzzle flash generated when you fire your firearm. Suppressors are usually constructed of a metal cylinder and use an internal mechanism to reduce the sound of firing by slowing the escaping propellant gas. It’s the same technology used in your vehicle muffler. Unlike the misconception created by Hollywood, suppressors and silencers do not make firing your guns totally quiet, but they can be used to dampen or reduce the noise volume somewhat. Suppressors, for example, can make it easier for you to learn and hear your instructors in a firearms class. They can also be used to help new shooters or those who might experience a flinch reflex when they hear the sharp noise of a gun being fired. While suppressors or silencers cannot reduce all the noise volume, they can help with a good amount of it when paired with the recommended ear protection gear (which we can also provide at Bristlecone). Over time, the overall sound reduction from a suppressor and proper hearing protection while shooting can have an impact on preserving your hearing. Suppressors can also help reduce the felt recoil in any firearm they are attached to, resulting in a more pleasant shooting experience. Suppressors are legal to purchase in 42 states, including Colorado. The exceptions are California, Delaware, Hawaii, Illinois, New Jersey, New York, Massachusetts, and Rhode Island. In the states where you can buy them, they are allowed for hunting in all but two states: Connecticut and Vermont. If the HPA is passed, there will most likely be a spike in demand for suppressors which will, in turn, affect supply and price. Since the HPA provides for a reimbursement of the current $200 tax on any suppressors purchased after 10/22/2015, now is a good time to consider a purchase – while prices are still low. Bristlecone will continue to watch what happens with the HPA and keep our customers informed. We always here to educate you and answer your questions. 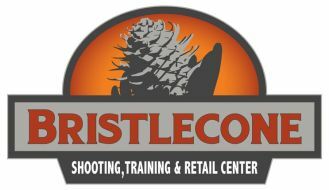 To learn more about Bristlecone’s indoor shooting range or retail center, visit https://bristleconeshooting.com or call 303-985-0989.